Anything less than 5 – 2 is a disappointment. 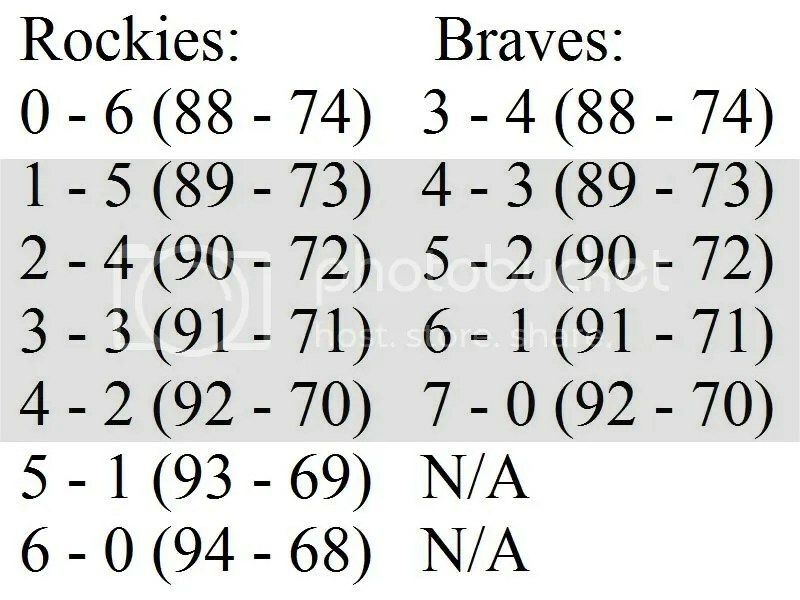 Sense thats really unlikely, the Braves are (most likely) a 90 win team, thats exciting! I’m very proud of this team, and I’m proud to be a fan. Sorry I have not posted at all, but I had a problem with HP, I’ll get to that later… Like, in October…Here is something interesting: Rockies have a sub. 500 record against Leftys and they face 4 of them in the coming days… There is still hope! GO BRAVES!! So Where Are We Now? Elated? Or Frustrated?